Through a half-century of foreign policy hardball, there’s a line I’ve never crossed. As a member of Congress for the past fifty years, I’ve have had my share of foreign policy disagreements with sitting presidents. Shortly after I took office in 1965, I joined the Reverend Martin Luther King in challenging President Johnson, a member of my own party, over his decision to escalate our involvement in Vietnam. Following the devastating and unlawful bombing of Cambodia, I drafted the very first articles of impeachment against President Nixon. I led inquiries and pursued the resignation of high-level Reagan Administration officials over the Iran/Contra scandal. I marched in the streets against 2003’s Iraq War and conducted investigations into President Bush’s alleged abuses of war powers. I have consistently questioned President Obama's use of lethal drone strikes around the world. But there’s a difference between challenging a president—however strongly—over such issues within the confines of our political arena and openly seeking to sabotage American diplomacy as it is being conducted abroad. The principle that “politics stops at the water’s edge” isn’t an arcane nicety but rather a cornerstone of our constitutional system. 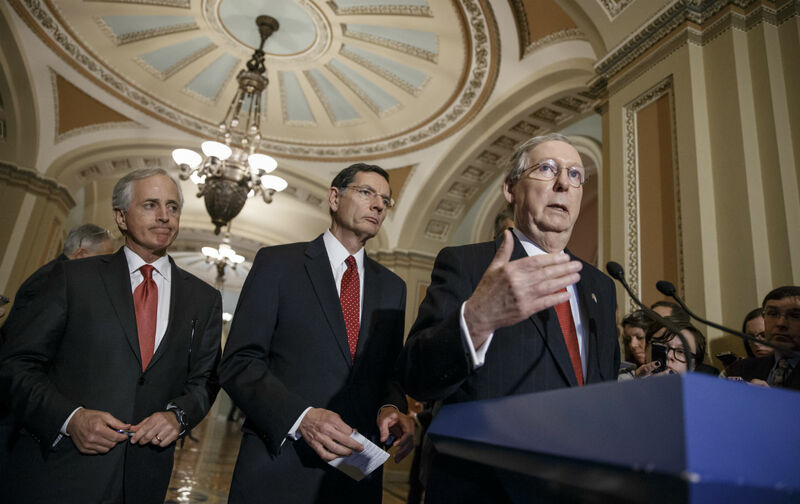 In sending a letter directly to the leaders of Iran to try to derail ongoing nuclear talks, forty-seven Republican senators brazenly violated it. There’s a long history behind this principle. In 1798, a Pennsylvania state legislator named George Logan travelled to France in the midst of a tense diplomatic standoff with the United States known as the “Quasi-War” to try to directly undermine the US government’s position and negotiate an agreement under his own terms. The following year, Congress passed the Logan Act—a statute that is still on the books—to prohibit US citizens from negotiating with foreign powers without official permission. A year after that, John Marshall, a leading jurist who later became Chief Justice of the Supreme Court, gave a noted speech describing the president as “sole organ of the nation in its external relations, and its sole representative with foreign nations.” This thinking was affirmed in a 1936 Supreme Court ruling, United States v. Curtiss-Wright, which stated that president holds inherent constitutional powers in relations with foreign governments. This long tradition is not about stifling debate or suppressing dissent. To the contrary, the norm of noninterference with the conduct of US diplomacy has been an asset for our open political culture. Presidents might face blistering criticism at home, threats to their budget from Congress or questions of impeachment for foreign policy errors—but no president has had to worry about open interference with the work of America’s professional diplomats and military personnel as they represent our government on the world stage. The senators did not make this calculated decision to break an important norm and undermine the efforts of US diplomats in order to save American lives or treasure. Rather, they took this unprecedented step in order to pursue an approach that—if seen to its conclusion—would unquestionably put American lives at risk. If Republican members of Congress were to succeed in derailing Iran diplomacy, Iran’s now-frozen nuclear program would recommence and the chances of military conflict would increase markedly. The only true beneficiary of such a conflict would be the Islamic State, which—according to this week’s news reports—is currently under assault from both Iran and US-backed Iraqi forces in the city of Tikrit and elsewhere. If Republican lawmakers are truly serious about preventing Iran from building a nuclear weapon and protecting US interests in the Middle East, they should cease taking actions that empower Iran’s own pro-war hardliners and that undermine our fight against ISIL. If the GOP is interested in upholding the constitutional traditions of the United States—as the party has asserted repeatedly over the past year—it should stop exporting our politics thousands of miles past the water’s edge. Having exercised vigorous oversight over nine presidents from my position on Capitol Hill over the past half-century, I can say with authority: there’s a line between strong dissent and outright sabotage. Members of Congress should never cross it. Rep. John ConyersCongressman John Conyers, Jr., a Detroit Democrat, is the Dean of the House of Representatives and the Ranking Member of the House Judiciary Committee.